Will McCollum was born September 10 near Purdy, Tennessee. He always credited his parents and their noble precepts as the reason for his pursuing a good life. They brought him to Texas when he was a boy. In 1894, he moved from Fort Worth to Waco. He became a mason at Waco 92 in 1901. 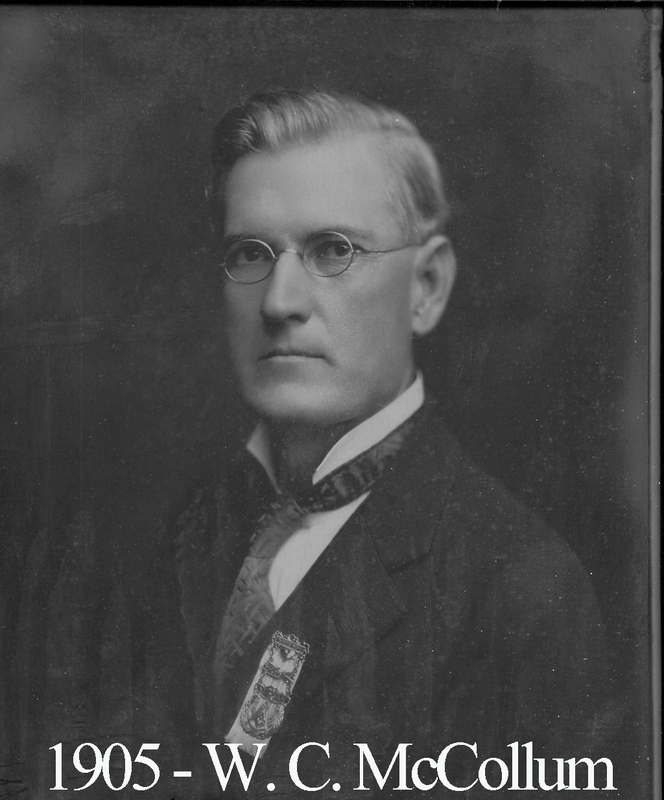 When he left the East after 1904, he took on the role of lodge Secretary where he stayed for several years. Our collection of lodge minutes contains many meeting records with his writing and signature at the bottom. McCollum was the oldest living past master at our lodge’s 99th anniversary celebration in 1951. Interestingly, McCollum never actually attained an office as judge but he gained the title anyway because the citizens of Waco supposed him to be one by his stately manner and worthy reputation.